Rear Wiper Arm Removal- What's the trick? Hi, This might be a little late but at the base of the wiper you can pop off the plastic cover with a screwdriver. Underneath is a bolt securing the wiper to the windshield. 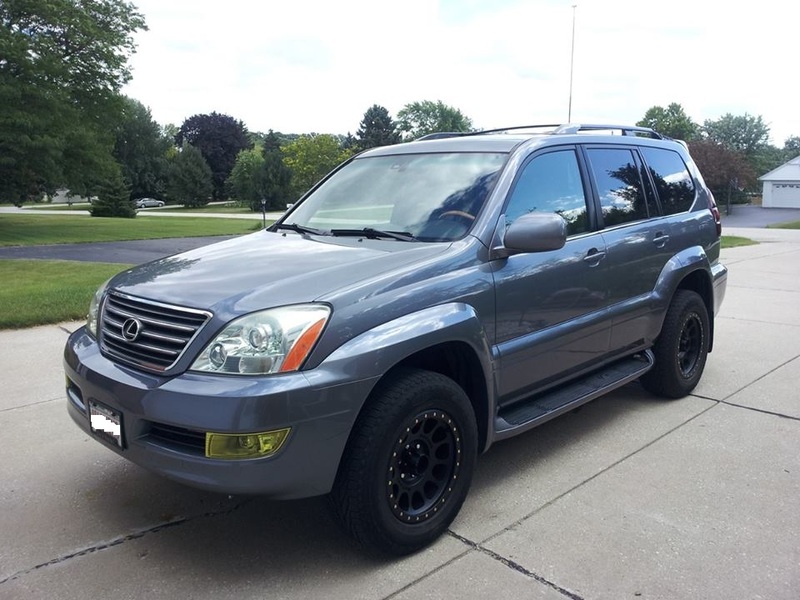 Hi Vilnis, Yes the GX470 and the 4Runner have to same frame and V8 engine so alot of parts are interchangeable between the two. This saves alot of money for GX owners as you can purchase 4runner parts at a much lower cost. Anyways to answer your question, yes you can purchase the 4runner exhaust for your GX and it'll fit.. I happen to have it installed on my rig. Below is a link to the one I purchased. https://www.summitracing.com/parts/gib-18707/overview/year/2004/make/toyota/model/4runner As for noise it sounds great. It really complements the 4.7 V8 and its like a 4-5 out of 10 in loudness. There is some drone around 1700-2000 rpm but it could be just my exhaust system If you have any more questions or need pictures, feel free to ask!